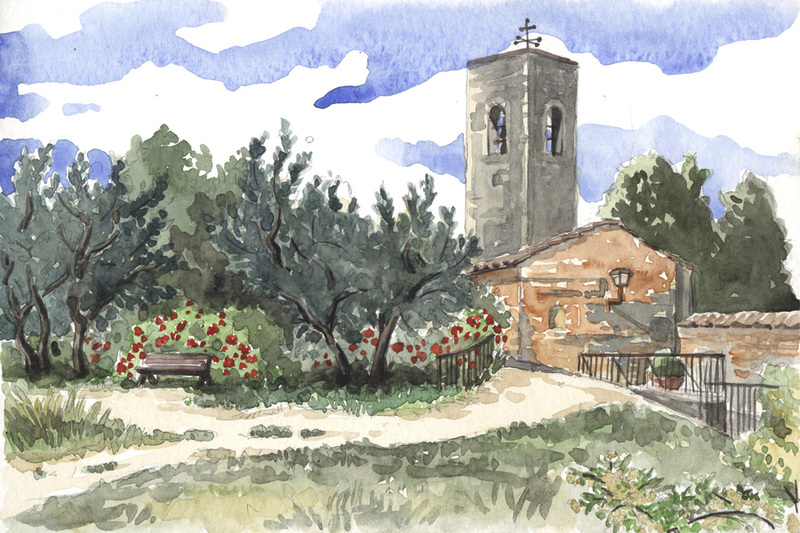 Here is a picture I drew in one of the San Gimignano 's garden. This kind of works generaly takes 2 hours: one for the drawing and one for the colors. Sometimes, It can be difficult when I can't sit down and if the wind is strong. But this time was a real pleasure : I was sitting in the grass, in the shade of an acacia, listening a talented profesionnal group of music playing next to me.